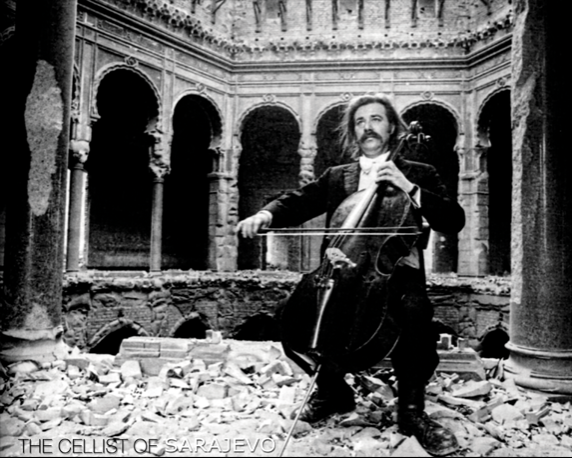 As mortar shells began raining down on Sarajevo, killing and destroying, Vedran Smailovic did what he knew best: he played his cello at funerals, in bomb shelters and in the streets. Before Bosnian war he played in the Sarajevo Opera, the Sarajevo Philharmonic Orchestra, The Symphony Orchestra RTV Sarajevo, and the National Theatre of Sarajevo. 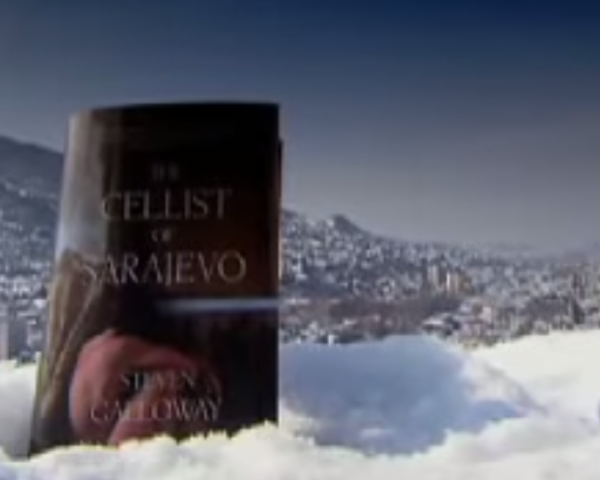 The Cellist of Sarajevo is just one of the icons from 44-month Bosnian Serb siege of Sarajevo, part of the bloody 1991-95 Bosnian war. “They held 250 concerts in bomb shelters, in schools. They were hungry, but still had soul,” Smajlovic told the visibly moved audience, then asked for a moment of silence for the war’s innocent victims. 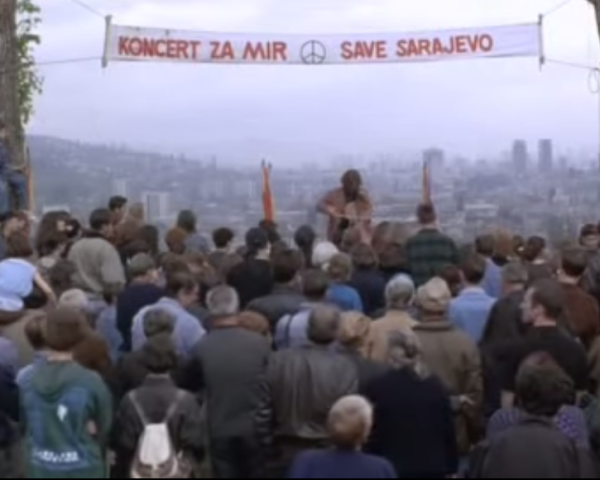 During the conflict, residents of Sarajevo never knew ahead of time when or where Smajlovic would be sitting and playing, alone or surrounded by citizens, journalists or rare foreign visitors who managed to enter the war-torn city to express solidarity with its residents. Those visitors included folk singer and peace activist Joan Baez, who once sat next to Smailovic as he played on the street.